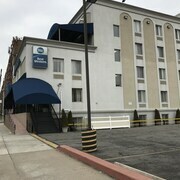 Convenient to Midtown Manhattan via AirTrain/LIRR link, this hotel is centrally located to Brooklyn, Queens, and Nassau county's businesses and attractions. It was smooth and something quick for my trip. 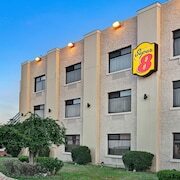 Staff was nice, housekeeping was to and they severed breakfast in the mornings. Which hotels are closest to the Jamaica airport? Can you find accommodation in popular areas of Jamaica? Where to stay near top Jamaica attractions? What kind of hotels are in Jamaica? 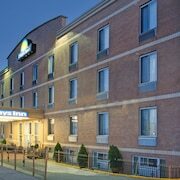 Which hotel chains are in Jamaica? Families will find kid-friendly activities in Jamaica, and visitors give high marks for the shopping, top-notch restaurants, and lively bar scene. Tourists can also enjoy the city's architecture, cafés, and live music. 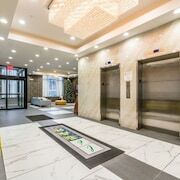 Long Beach, Floating Pool, and Brooklyn Bridge are some of the top sights around the area. The city is well liked for its places to shop, and Jamaica Colosseum Mall is a favorite for retail therapy. A couple of additional sights to add to your agenda are Prospect Cemetery and King Manor Museum. 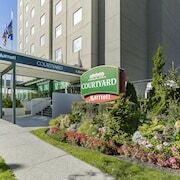 Courtyard by Marriott New York JFK Airport - Guests who stay at this 3-star hotel in Queens can enjoy access to a restaurant and a fitness center, along with free WiFi. 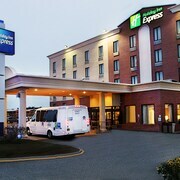 It's a favorite with Expedia travelers for its dining options and clean, comfortable rooms. 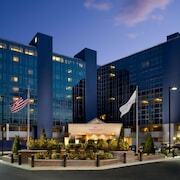 Hampton Inn JFK Airport - Our customers like the room size and overall condition at this hotel. 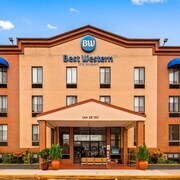 Guests who stay at this 3-star hotel in Queens can enjoy access to free breakfast and a fitness center, along with free WiFi. 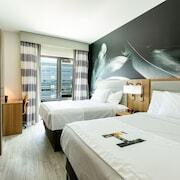 Fairfield Inn by Marriott JFK Airport - Guests who stay at this 3-star hotel in Queens can enjoy access to free breakfast and a restaurant, along with free WiFi. Expedia customers like its dining options and breakfast. Top places to visit outside the city include Long Beach, located 8.8 mi (14.1 from the city center, and Floating Pool, which is 10.7 mi (17.1 away. With so many ways to get around, exploring Jamaica is simple. 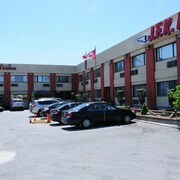 You can take advantage of metro transit at Terminal 1, Archer Av. Station, and Sutphin Blvd. Station. 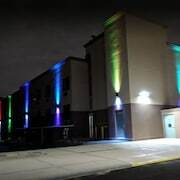 If you want to journey outside of the city, ride aboard a train from Jamaica Locust Manor Station, Jamaica St. Albans Station, or Jamaica Station. What are the most popular hotels in Jamaica? Are there hotels in cities near Jamaica? Explore Jamaica with Expedia.com.au’s Travel Guides to find the best flights, cars, holiday packages and more!